Cadwell is such a sweetheart! 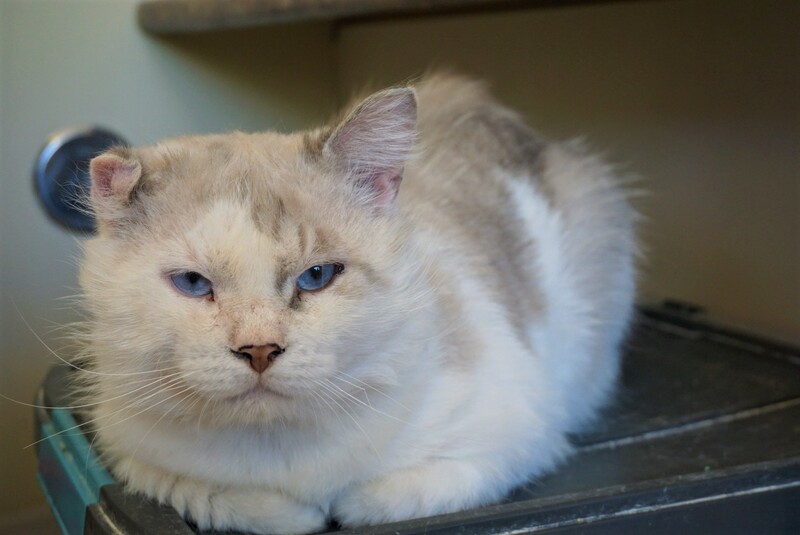 This beautiful boy is a gentle soul who loves attention from his human friends at Rescue Siamese. He especially loves it if you take the time to give him a good brush down and some head scratches. Cadwell is FIV positive, meaning that his immune system is not as strong as a normal healthy cat. Much like the human version of the virus (HIV), FIV is only transmissible to other cats by direct contact with blood (eg. mainly bite wounds). FIV also only affects cats, which means that it cannot be transmitted to humans or other non-feline pets. Apart from this, Cadwell is otherwise a normal, cuddly fellow. If you would like to meet Cadwell, you can visit him at our store location at 38 Barberry Road.